Do you drink fair trade coffee, sip fair trade tea and eat fair trade chocolate? 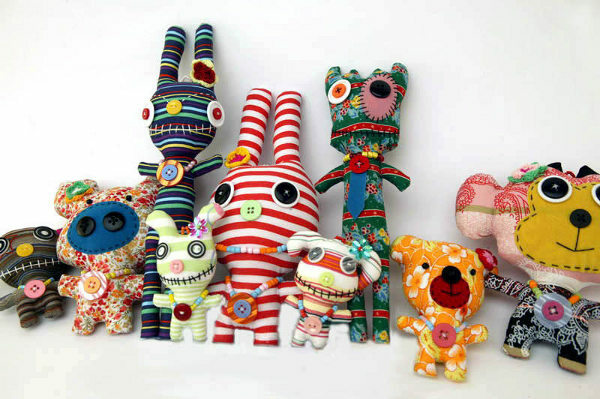 Let your kids in on the act too with these fair trade monster dolls. We’ve come across some beautiful fair trade children’s clothing in the last year, and now we have these wacky fair trade softies as well. They are created by women in Chiang Mai, Thailand, as part of a community development project. 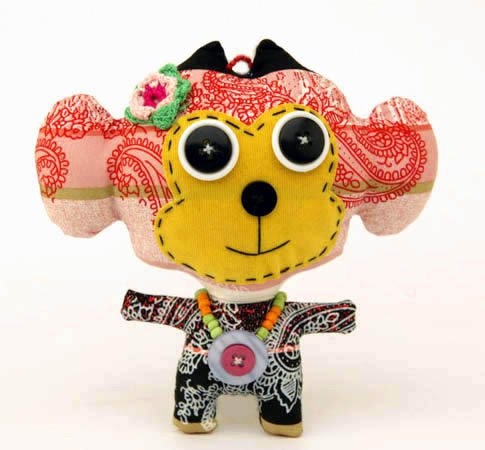 Each is handmade and truly unique, but at a fraction of the price tag of most handmade dolls, plus your money will be helping women in difficult circumstances to make a living for themselves. They come in a vast array of fabrics and colours, with plenty of decorative detail to set them apart. Pick them up from Black Eyed Green for $15 for the large dolls and $7 for the mini dolls. They’d make a great and unusual present for a new baby!